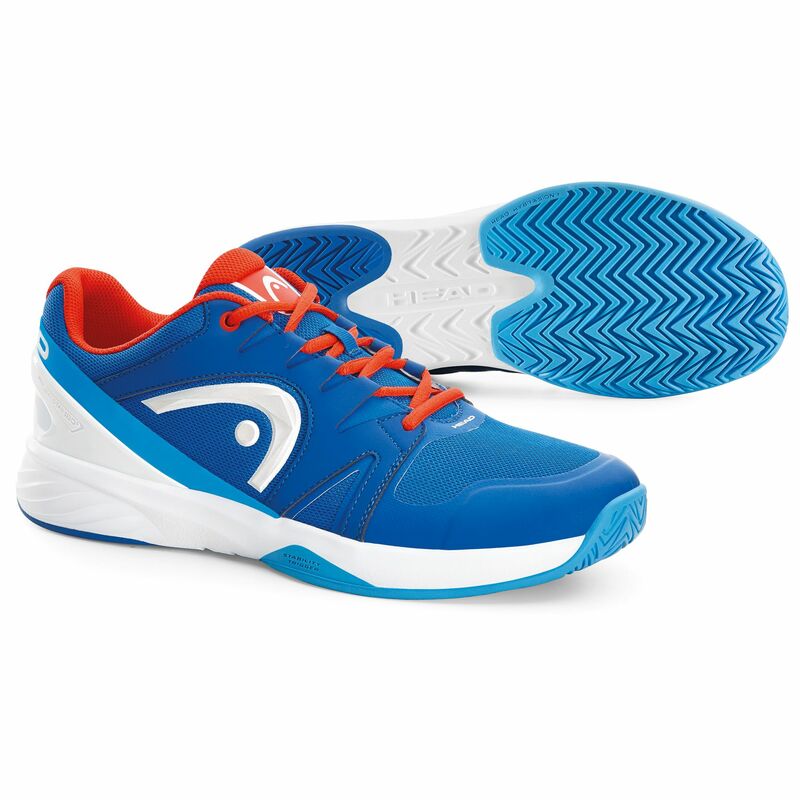 Play in comfort and with solid stability in the Head Nitro Team men’s tennis shoes. These all-court trainers have a non-marking outsole that grips all court surfaces and has special features that make them particularly suited to both hardcourts and clay. With a breathable, seamless, soft and flexible upper, the fit will be comfortable and airy so wearing them remains enjoyable throughout sessions, games and during any other purposes. The top cap and TPU 180° Heelstab give you protection at the front and stability at the back of these shoes, with stability furthered by the lateral rubber outrigger which keeps you sure-footed when moving sideways. Enjoy the cushioning, rebound and flexibility that the lowered midsole in these durable tennis shoes provides. for submitting product review about Head Nitro Team Mens Tennis Shoes SS16.